Between May 10 and 12, 2019, a delegation from Politecnico di Milano’s Department of Civil and Environmental Engineering will undertake a mission which will bring a meteorologist and the chief technician from the hydraulics lab from the famous university to visit various sites in Southern Tuscany. This is in the context of the consolidation of existing environmental monitoring and research projects conducted in the area by some rural communities. This initiative is not casual: it spawns, in fact, from a historical relation between the Department and the pibinko.org network (whose coordinator, Andrea Giacomelli, obtained his MS and his PhD from Politecnico di Milano), dealing since 2007 with projects intertwining environmental engineering, land planning, culture, and open innovation. The results of such activities have often been unusual, and at times unexpected, considering the composition of the core team of the network, in Tuscany. This group does not have a “traditional” scientific committee, with representatives from academia or official research institutions: its scientific and technological strategies are based on the bottom-up integration of international expertise of some members with traditional knowledge of other members, and all of them reside in hamlets in the hills of one of the areas with the lowest population densities in Italy. Starting from this setting, the group has developed collaborations with European projects, received awards, intercontinental invitations to showcase their work, and started formal training activities, always maintaining their home base in an area which is known in most of the world for its enchanting landscapes, stunning natural features, and an extremely enticing food and drink menus, but does is not generally perceived as a territory providing ideas for research or innovation. The May 10-12 mission is composed of a technical part and an outreach part. In the technical part, Alessandro Ceppi and Giuseppe Milleo from DICA will first of all install a weather station in the Farma Valley, half way between Siena and Grosseto, to be integrated in the MeteoNetwork infrastructure. Together with pibinko.org they will then visit various sites between the Farma Valley and the Gulf of Follonica, in order to get acquainted with some peculiarities of this territory and of some agri-food and tourism businesses, which to date they have known only through the talks which Andrea Giacomelli has been giving at the Politecnico since 2011. Saturday, May 11 AM, in Torniella, a symposium concerning opportunities for promotion and protection of inner rural areas through the collaboration of local expert networks and research institutions. 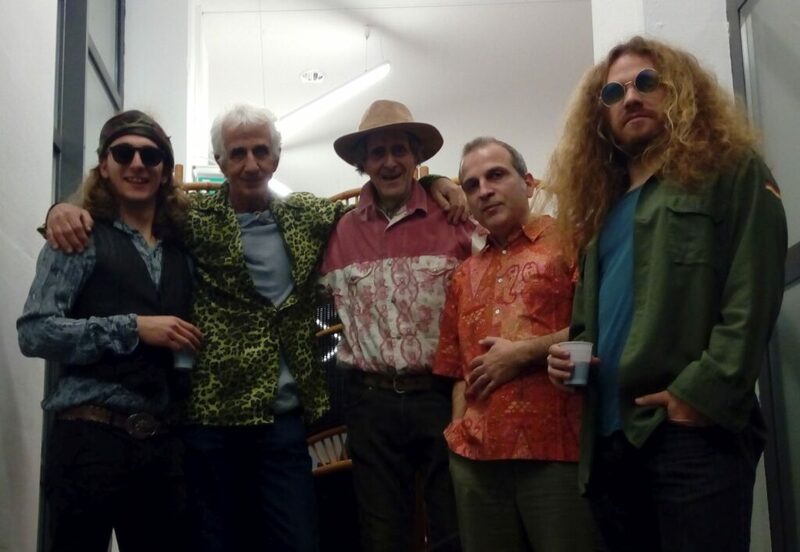 Saturday May 11 PM, location to be defined, a geomusical moment with components of the Metalliferous Hills Jug Band. Please note: a detailed program for the May 11 schedule will be published at the beginning of May. If we scan our records, we will find that the DICA mission is not the first scientific delegation visiting Southern Tuscany via the pibinko.org network. In 2012 we had the presence of a working group from the ENVIROFI project, concerning the testing of apps for tree biodiversity citizen science, with workshops in Torniella and Florence. In 2015 we hosted, again in Torniella and Piloni, about a dozen of experts on artificial light at night issues, from six different countries. 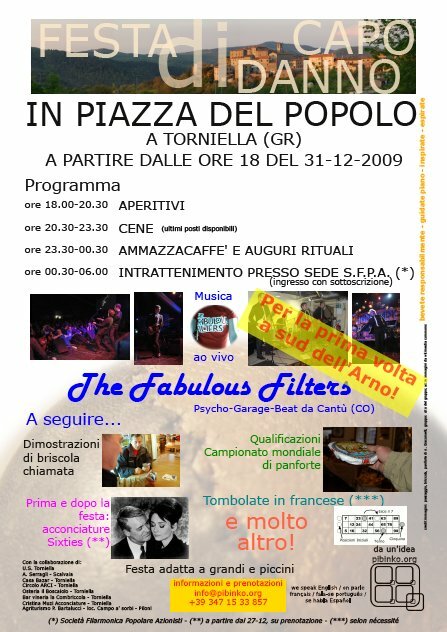 Actually, the first initiative where we had significant international visitors in the pibinko.org context is represented by 2009-2010 New Years’Eve celebrations organized in Torniella. That event was seen by the team as the summary of three years of work, and led to the discreet yet not informal presence of some researchers and officers from European institutions, who were interested to understand the context originating a series of creative projects. This eventually triggered a series of opportunities to share ideas and initiatives in high-level venues such as joint NASA Workshops, or community engagement events linked to large conferences, such as the First INSPIRE Mashup in 2010 in Krakow, Poland, or the first INSPIRE conference mini-footbal tournament. In this line of work, the new element for the May 2019 events is that they will derive from a co-design exercise between DICA and the pibinko.org network, thus representing a novelty in our experience. In addition to not representing a casual operation, the DICA mission is also not isolated: in fact it is part of a rather rich calendar of events, managed by the pibinko.org in collaboration with various public and (mostly) private subjects. During Spring these will take place in Tuscany, Lombardy, Belgium, and Germany. 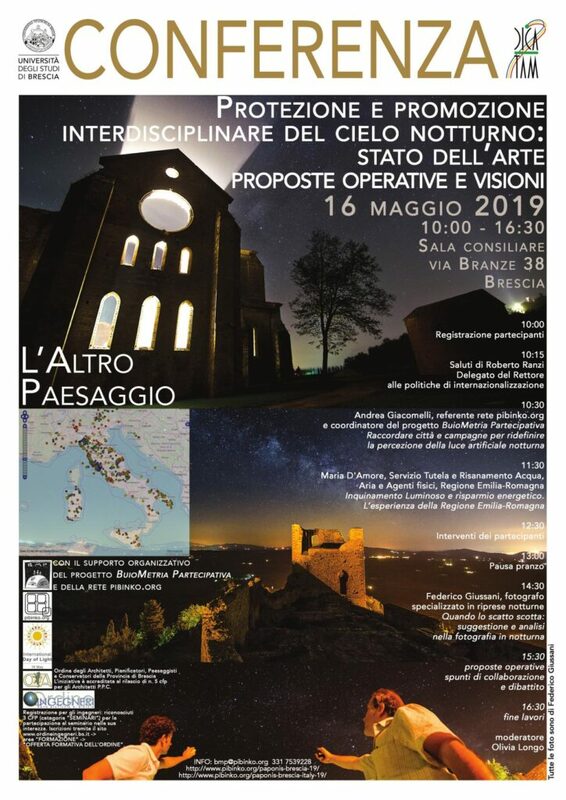 Among other events, we must flag a national conference on interdisciplinary protection and promotion of the night sky, at the University of Brescia, where pibinko.org is managing the scientific programme of the event. Last, but absolutely not least, at the end of May we will have an event at Politecnico di Milano which will represent a “dual” version of the May 10-12 experience. If you are in Milano on May 30, you will be able to find a delegation from the Metalliferous Hills (and from the Cecina Valley geothermal district, close by) hosted at DICA, giving a talk explaining how pibinko.org went “From Sound Engineering to Engineering with Sound“. Yesterday we were notified that the May 16 conference which with the BuioMetria Partecipativa project we are organizing at the University of Brescia has been recognized as a valid event to issue training credits for Chartered Architects and engineers. This news adds more value and interest to the event we are preparing. The full presentation of the conference is available on this page. Piazza Leonardo da Vinci 32, Aula Citrini, 4PM-7PM (the actual time within this range will be confirmed ASAP). 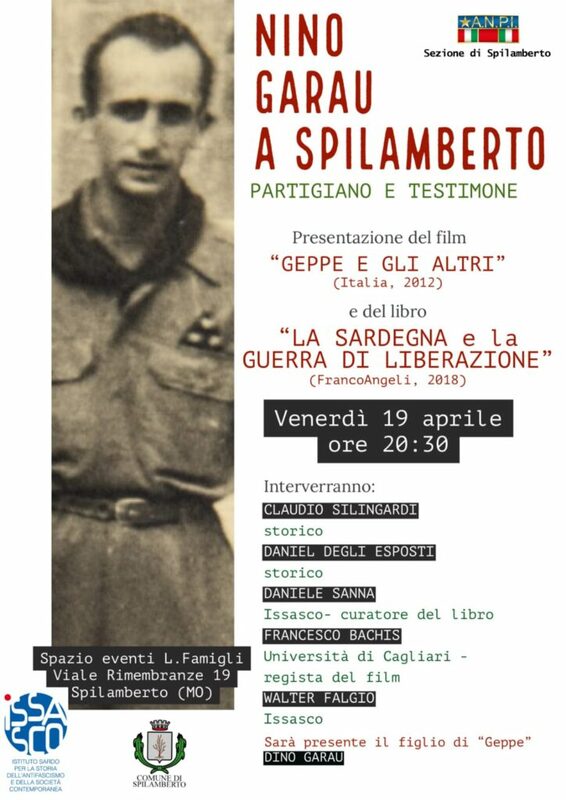 Thursday, May 30, Politecnico di Milano will host a very peculiar event. This will be a lecture where a talk about sustainability on inner rural areas of Southern Tuscany will be mixed with live music performed by a rock-blues band based in the same region, and with the authors of the studies playing with the band. The event has also been inserted in the official program of the third edition of the Sustainability Festival (running at the national level with numerous events from May 21 to June 6, 2019). Confirmation of participation should be sent to info@pibinko.org or +39 3317539228 by May 29, 2019. When we speak of sound and engineering we tend to think about audio experts, mixers, decibel, wattage etc. In this lecture we would like to speak about engineering made together with sound, and namely with music…how can music be, in addition to a cool background, an element integrated with the life cycle of projects and studies in the fields of land protection, promotion, and environmental sustainability. Namely, we will be presenting the case of the Jug Band dalle Colline Metallifere (JBCM, i.e. Metalliferous HIlls Jug Band). This is an inter-generational and international musical collective based in Southern Tuscany, founded in March 20017. 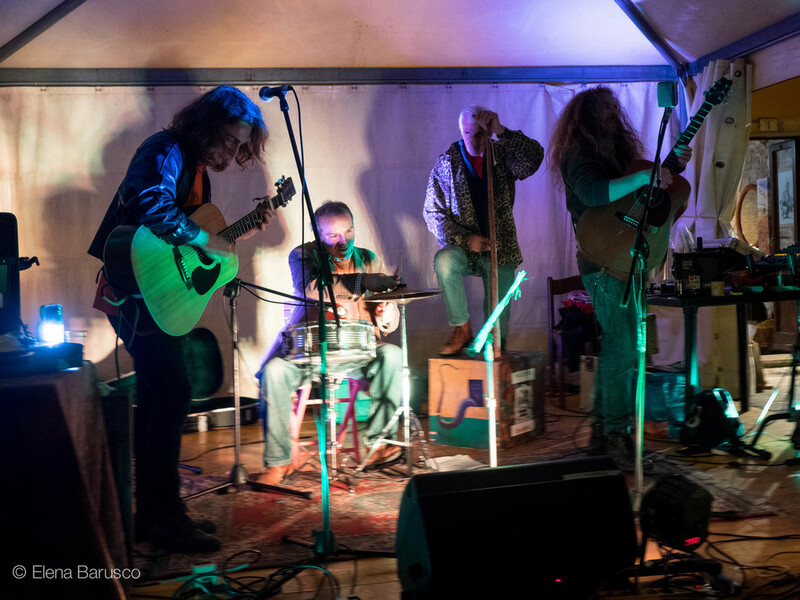 The JBCM is active in the production of events where live music, monitoring, and outreach on environment and territory are intertwined so as to create a (typically acoustic) pleasing, entertaining, and instructive experience, which the group called “geomusic“. The collective was given this name in September 2018, after about a year of experiments involving two young professional rockers (with three albums and hundreds of live concerts in their roster), and two professionals with a different core expertise (but a musical track record adequate to make them not feel shy on stage). One of the senior professionals is actually an environmental engineer and a PhD with 25 years of experience on geographic information systems applied to multiple international projects; the other professional has almost fifty years of experience in biodynamic agriculture, working as a consultant in Germany, Italy, and Maghreb. The combination of music and technical expertise, especially on environment and agriculture, is the peculiarity of the JBCM project, combining melody, rhythm, cultural and environmental outreach in one situation (which can be related to Sustainable Development Goals 4, 11, and 12, for those of you into this topic). In the same performance you can dance with a rock ‘n’ roll song, make light pollution measurements within international citizen science projects, join the chorus yelling “ahi ahi ahi….il vino neerooooo” , and eventually learning that half of the songs to which your were shaking your feet were, in fact, speaking of issues of your grandfathers in their rural settings, or of your friend who recently graduated, and had to leave his country to find a job. The lecture will also be the opportunity to present a summary of a mission that a team from DICA (the Dept. of Civil and Environmental Engineering at Politecnico di Milano) will be having on May 10-11-12 in Southern Tuscany. They will be installing a weather station in the Farma Valley, as the consolidation of a set of mapping and monitoring activities undertaken by valley residents and visitors since 2007. Such activities have been developing in the years, through a combination of research, citizen science and territorial marketing projects (which have been presented at various stages in Politecnico di Milano in 2011, 2015, 2017, and 2018). 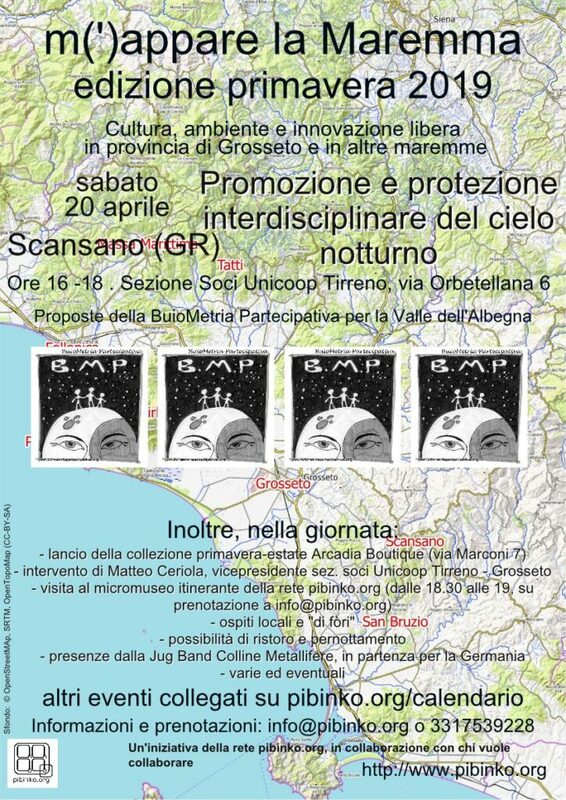 Interestingly, the Jug Band Colline Metallifere represents one of the communication avenues for these projects, and these initiatives share some of the people creating and managing these activities (and the same people will be giving the lecture). Last but not least, this will be yet another opportunity to learn about the PORGEP2019 program, and how you may collaborate with projects which will be showcased. The poster for the JBCM geomusical tour in Germany, via Politecnico. 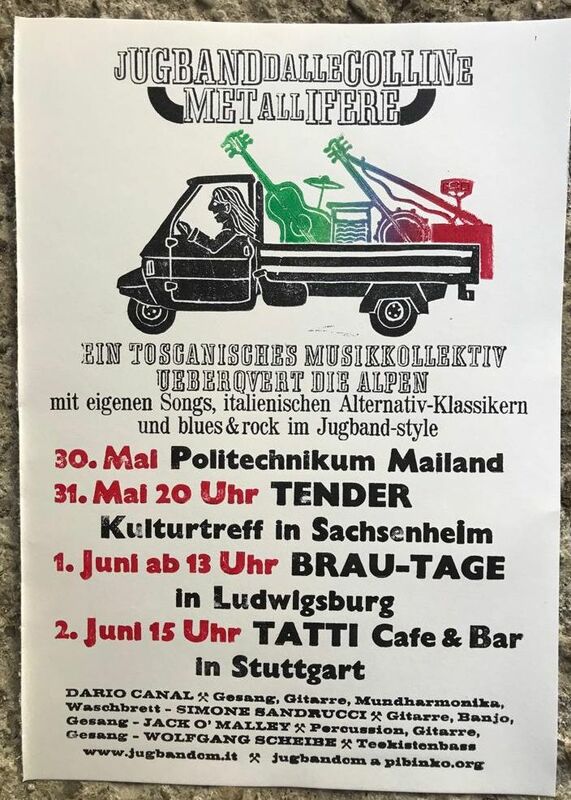 On this occasion we will have the full Jug Band Colline Metallifere, since they will be in transit by Milano for a tour in Germany, with four gigs in the Stuttgart area. The lecture will thus be an opportunity to learn about a diverse range of activities, and to attend a very, very peculiar event. Among other presenters, I am please to highlight Daniele Sanna, with whom I have been collaborating since 2001. For the book which will be presented, I have edited the maps displaying the location of medals awared to partisans, and the location of the “Gramsci” brigades during the war. This is an initiative by Federico Giussani, our main photographer in the BuioMetria Partecipativa project. If you decide to go, please let us know (bmp@pibinko.org). 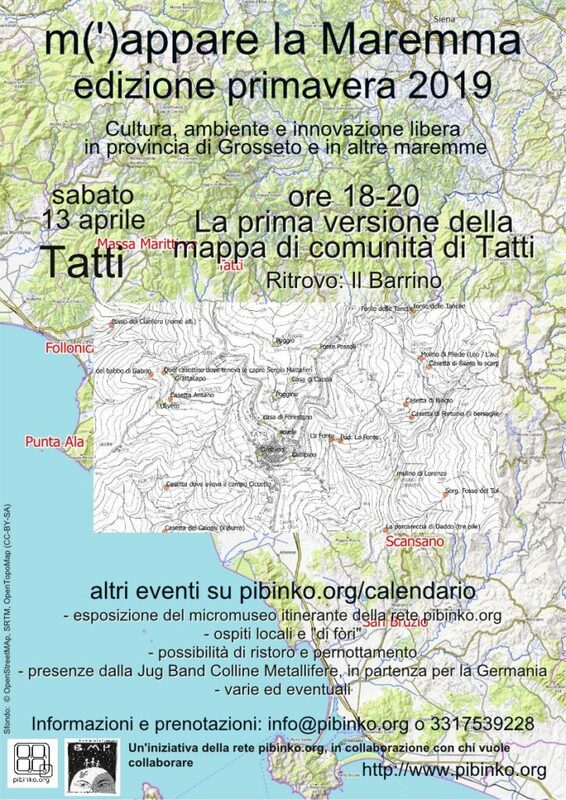 Following the event in Tatti (Southern Tuscany), and the presentation of the first verison of the community map of its surroundings, and in the context of a rich program of events through June (pending further updates), you are invited in Scansano, Southern Tuscany for an afternoon with the pibinko.org network. The event will have a focus on the BuioMetria Partecipativa project and its interdisciplinary approach to promotion and protection of the night sky, but also the other typical elements of the pibinko.org “gigs” will be available. Per informazioni bmp@pibinko.org o 3317539228. With an opening event in Castiglione della Pescaia, and the main attractions in the afternoon. The program is being finalized, but you can save the date. For more information: info@pibinko.org or +39 3317539228. Come and learn about an ancient, yet lively, game. Between 7PM and 10PM… the flyer is coming! Next Thursday, April 11, pibinko will be part of the speakers at a conference on “New itineraries, new navigation and promotion portals, new communication strategies. A presentation of projects and tools for the local Tourism System”. Here is an excerpt of the flyer. 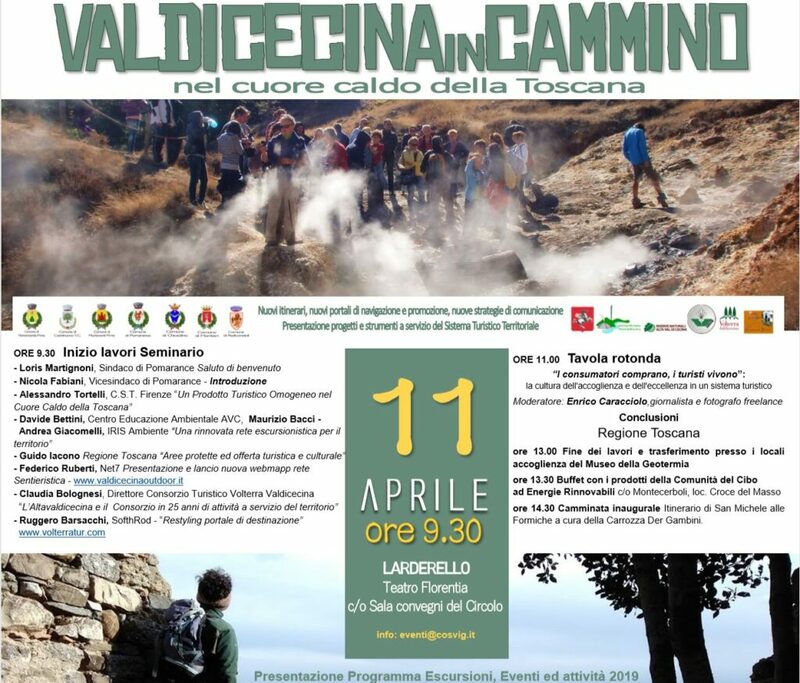 On this occasion I will give a short talk on the work I have been carrying out in the past two years for IRIS Ambiente and Idealcoop, concerning the new design of the trail system for Unione Comuni Alta Valdicecina. I will also be providing some hints about the peculiarities of the network we have created, collaborating with various experts and local guides. Considering other pibinko.org projects, we might say that we have been partly map(pear)ing the Cecina Valley and its spaces, even though in this phase there has been more mapping, compared to other work we do. Interestingly, in the same period and in the same area, I met various elements that helped me to launch new projects .